Often the provisions of a commercial lease provide little benefit for the Landlord after a tenant files bankruptcy. However, the Bankruptcy Courts are likely to accept and enforce terms that the tenant must satisfy before the Lease may be retained by the tenant or assigned to a third party. Thus, the Landlord wants to include favorable conditions. I recommend that Landlords use bankruptcy specific clauses in commercial leases to reflect the intention of the parties on key concerns in bankruptcy. They will guide the Court on the construction of leases in harmony with the Bankruptcy Code (“Code”) or under state law. Each leasing situation is unique. As a result, bankruptcy clauses must be tailored to the needs of each situation. Three (3) types of clauses are described below. This provision addresses when the bankruptcy clauses become effective. While a bankruptcy filing is easy to address, the Landlord should also guard address receiverships and liquidation proceedings under state law. 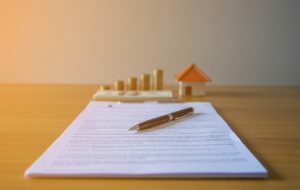 Most Landlords are aware that the filing of a bankruptcy proceeding under a lease is not an enforceable default and does not constitute an event of default under the Code. A tenant, with Bankruptcy Court approval, may retain (assume) the lease, and even assign it to a third party. However, a tenant may only assume (or assume and assign) a lease if, at the time of assumption, the tenant: (a) cures (ends default by doing what was supposed to be done), or provides adequate assurance that the tenant will promptly cure, such default; (b) compensates, or provides adequate assurance that the tenant will promptly compensate, a party other than the tenant to such lease, for any actual pecuniary loss to such party resulting from the default; and (c) provides adequate assurance of future performance under the lease. Language within the Lease may assist the Court to determine if all these provisions have been satisfied. Under the Code, a Landlord is limited in the amount of damages it may recover from the termination of the lease. Ordinarily, damages are not limited under state insolvency proceedings so having a liquidated damages clause may be desirable. Also, the Landlord may want to include the attorneys’ fees incurred in the bankruptcy proceeding as an administrative claim, if possible, because of the additional expense to the Landlord. For more interesting articles on bankruptcy and creditors rights, please visit the CRABB (Creditors Rights, Reorganizations and Bankruptcy) page at offitkurman.com. Questions about this topic or other bankruptcy law issues? James Hoffman is a corporate, bankruptcy and litigation attorney who focuses his practice in the areas of representing various business types, particularly closely held businesses and also has a broad base of experience representing creditors, trustees and debtors in bankruptcy cases and litigation. 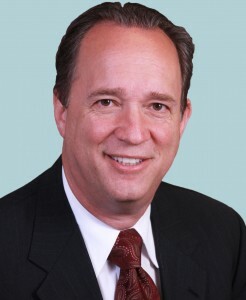 James Hoffman is a corporate, bankruptcy and litigation attorney. Mr. Hoffman focuses his practice in the areas of representing various business types, particularly closely held businesses and also has a broad base of experience representing creditors, trustees and debtors in bankruptcy cases and litigation. In his business practice, Mr. Hoffman represents businesses through their life cycles from creation, to formulating employment and shareholders agreements, creating contracts, collecting debts and closing the business through sale or liquidation. Mr. Hoffman has represented nine different Chapter 7 trustees, and several Chapter 11 trustees and receivers. Thus, he is “a lawyer’s lawyer.” He has been involved in handling a broad range of litigation before state courts, including disputes involving complex commercial litigation, breach of contract actions, and collection actions.